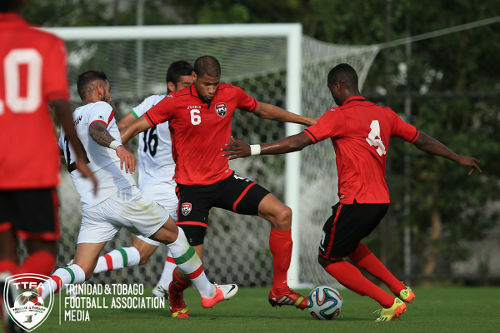 The Trinidad and Tobago team national football completed its mini-South America tour this afternoon in Sao Paulo, Brazil with a 2-0 defeat against World Cup-bound Iran. 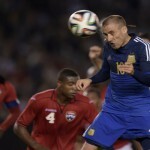 The result follows a 3-0 loss against Argentina on Wednesday in Buenos Aires. Argentina and Iran are both drawn in Group F of the Brazil 2014 World Cup alongside Nigeria and Bosnia. 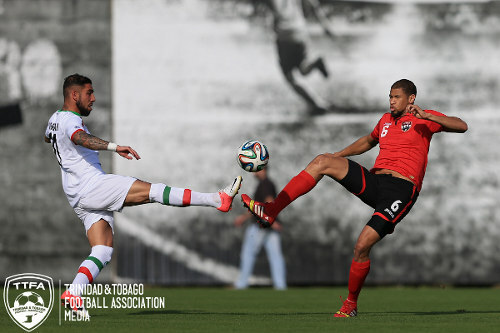 Photo: Trinidad and Tobago defender Radanfah Abu Bakr (right) challenges Iran forward Ashkan Dejagah for the ball. Elsewhere, regional rival, Jamaica, was put to the sword away in France where the “Reggae Boyz” were routed 8-0 by the host team who shook off the absence of star player Franck Ribery, who will miss the World Cup due to a nagging back injury. It was a more low keyed affair in Sao Paulo as the media was not allowed to cover Trinidad and Tobago’s clash with Iran although live updates were relayed from the TTFA press officer through the Soca Warriors Facebook page. And, as in their friendly international with Argentina, the “Soca Warriors” contrived to concede goals late in the first half and soon after the resumption. Trinidad and Tobago head coach Stephen Hart credited his players for their effort although he urged them to be more assertive and match the enterprise they showed in the final 20 minutes. “It was not a bad performance but I thought we allowed (Iran) to take charge at some points of the game,” Hart told the TTFA Media. 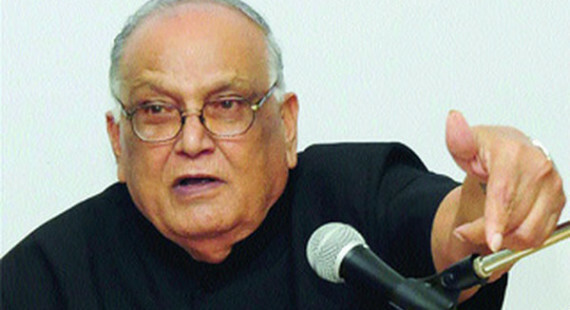 “We could have been stronger and not allowed them to get into certain positions. Lester Peltier had a chance to put the Warriors ahead, early in the first half, but shot wide of the target. Photo: Trinidad and Tobago goalkeeper Jan-Michael Williams (centre) collides with Iran forward Ashkan Dejagah as he makes a punched clearance. Iran made Trinidad and Tobago pay in the final kick of the first half as 24-year-old midfielder Ehsan Haji Safi drove past Trinidad and Tobago goalkeeper Jan-Michael Williams following a right side corner. Six minutes into the second half, Iran won a penalty kick after a foul by Trinidad and Tobago right back Justin Hoyte on striker Ashkan Dejagah. But Warriors custodian Jan-Michael Williams denied Javad Nekounam from the spot with a flying stop. Three minutes later, Iran did double its lead though as Reza Ghoochannejad buried an opportunity on a counter attack. 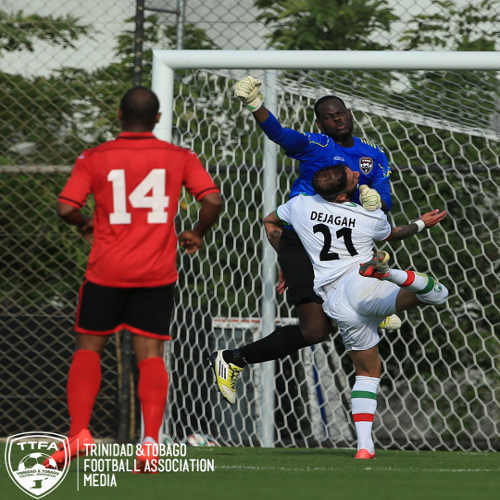 Hart made six changes in the second half and the Pro League duo of Willis Plaza and Trevin Caesar made an immediate impact with the latter winning two free kicks in dangerous areas. 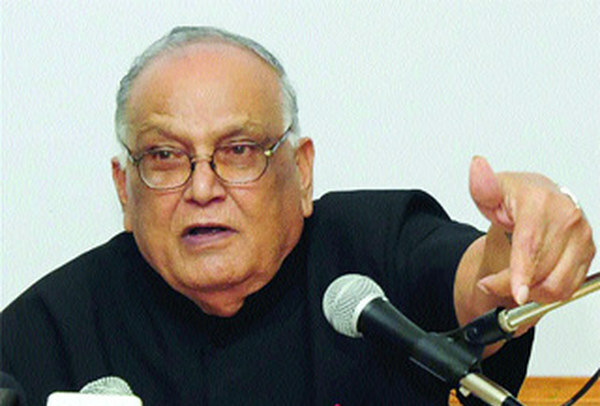 But the Warriors could not end their tour with a goal. Hart described the trip as a wonderful opportunity. “We are trying to get to that level and our kind of preparation now is not where Iran or Argentina would be at this point in time,” he said. “Overall we had a wonderful opportunity for some of our less experienced players to play at a high level and on a stage where we want to be at on a consistent basis. Photo: Trinidad and Tobago national defenders Radanfah Abu Bakr (centre) and Sheldon Bateau (right) try to clear the danger against Iran this afternoon in Sao Paulo, Brazil. Defence Force utility player Curtis Gonzales and Caledonia AIA veteran playmaker Densill Theobald were the only members of the 22-man squad that did not feature in either game—apart from Point Fortin Civic custodian Marvin Phillip who left Brazil on Friday night after the tragic death of his 10-month-old son, Maitai Phillip. The 2014 World Cup kicks off on Thursday in Sao Paulo where hosts Brazil face Croatia in a Group A contest while Argentina and Iran open their Group F campaigns on June 15 and 16 respectively. 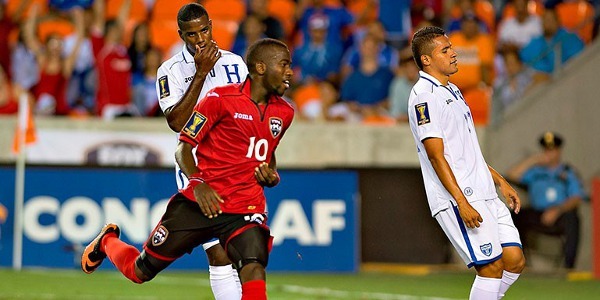 Trinidad and Tobago’s next scheduled round of matches will take place in the 2014 Caribbean Cup semifinal qualifying phase from October 6 to 13. Trinidad and Tobago: 21.Jan-Michael Williams (GK); 2.Justin Hoyte, 6.Radanfah Abu Bakr, 12.Yohance Marshall 4.Sheldon Bateau (17.Gavin Hoyte 72); 8.Khaleem Hyland, 14.Andre Boucaud (5.Kevan George 63); 23.Lester Peltier (16.Marcus Joseph 83), 7.Ataulla Guerra (3.Joevin Jones 63), 10.Kevin Molino (20.Trevin Caesar 80); 9.Kenwyne Jones (captain) (11.Willis Plaza 76). Unused substitutes: 13.Rundell Winchester, 15.Curtis Gonzales, 18.Densill Theobald, 19.Carlyle Mitchell. 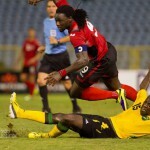 Stern john.. Is not lazy.. This a guy who trained with me from 5.30am in the morning growing up.. He ALWAYS stayed back to do extra training.. He is a hard worker.. I guess this is where the rebuilding process begins. The boys can only be better for the experience, hopefully. Haa…one thing I’ve noticed in recent weeks in the world cup build up, is that international coaches have biases towards certain players & stand by them even if the national media fans may not favour them. Nah he Will be picked because he is a good motivator ent and Coach Hart said that he doesn’t understand why the public doesn’t favor Denzil eh, and he didn’t give him a little play in the both games ent. Coach Hart really good yes. Could this be a sign that Hart won’t be picking Theobald in future squads? Stren John is lazy ent well now I understand why he was never recruited to play in the EPL ent and the same for our little Magician Latters ent he to was to short and not big and robust ent but skills like dirt and another real goalscorer ent . 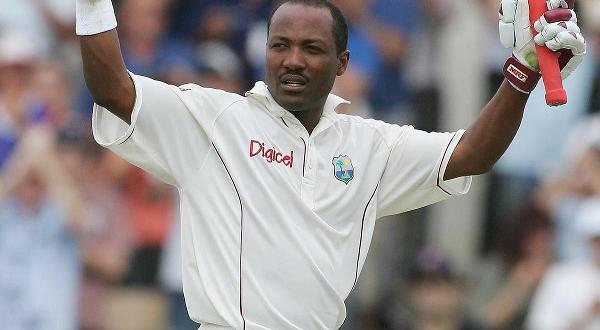 The Don shudda bounce his head and played him against England in 2006 ent they wudda find out where barley grows . Them really good yes. Both players is lazy but John is a goal scorer I never heard a coach said nothing bad about him…… But Jones Harry ex Tottenham manager and Tony Pulis C-Palace manager says he’s the laziest Kelvin Jack respect…. Look at my second sweet country eh the America eh they does develop their own professional players and where do they end up eh ah glad that alyuh ask, in real professional leagues nah making plenty monies ent when they are about to finish their careers ent they returns and play in the MLS and there will come a time.when they won’t have to go.abroad nah the big foreign base players will be coming to the MLS. ah mean to say if America ever want to win the World Cup ent that should be their plan. I have always said that we need to do like Greece and concentrate more on our Local programs and bring it to such a high level that when the so called foreign base players returns to play eh they have to really fight for their positions yes and also stop looking for every player abroad who have ah little Trini in them to represent our sweet country. TTFA really good yes. I sure hope we gain some insight on how, what and whom we need to improve from playing these friendly games which are very valuable if we have a performance improvement game plan. I have always thought that Kenwyne Jones was playing in the wrong position. Plus, I think, his style of play is too ‘unhurried’, too calm and stuck in one gear. I simply don’t see the sense of urgency in his style of play. But, if he is the best we got then…. Stern John like many other names that I can call in our sweet country are natural strikers but Kenwhyne Jones was. a defender that was recruited by the EPL for his height and strength he never had the skills for scoring goals and eventually when real goalscorers are recruited for the EPL teams he would be on the bench ent how many goals has he scored in his professional career in the EPL eh and the beautiful game of football was never invented to be played with the head only. So what happened Kelvin Jack Lasana Liburd? I am looking on and willing him on but something is lacking now. What happened. I will always remember one time Birmingham played at Stamford Bridge and Stern was playing upfront alone between Desailly, Gallas and Makelele. They physically battered him. But they couldn’t get the ball off him. He did a similar job against Sweden in the World Cup when he took pressure off with his hold up play. I never understand why people never credited that side of the game. God knows where Michael Owen might have reached if he could hold up the ball half as well as Stern. Because I saw Owen live a few times and his touch was crap. 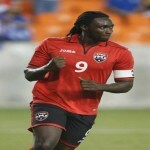 La Horquetta Xf what do u want to know about kenwyne jones? I have not played with kenwyne since 2006.. He was a young boy then still learning the intricacies of being a striker. Stern was top dog .. An intimidating figure for all pretenders to his throne as top striker. Kenwyne jones always had a good attitude and was a respectful boy. He worked hard.. What else can I say? He is obviously not as prolific as stern but no one was.. Kenwyne is a good guy and I’m not saying that because he is my friend.. He loves football.. There are many many players, strikers, midfielders, defenders, goalkeepers who have played for big clubs in the premier league.. A lot of these strikers were not better than stern john.. Stern john at his best was an assassin.. A serial murderer in striking terms.. He was a deadly finisher and his hold up play was of an excellent standard. He was a good footballer period. Some of the his finishing in training was scary, just scary.. Why he didn’t play for a big club? It’s just the luck of the draw sometimes.. Stern was world class at his peak.. Proper world class.. We need to be proud of his talent.. 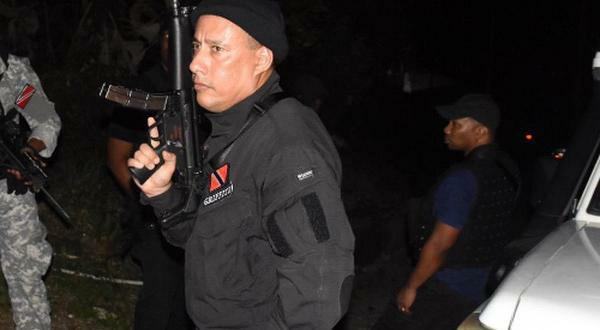 He is a Trinidadian.. Sorry Earl..
Mango, how yuh mean “if Stern John was such ah goalscoring machine”? Come better dan dat. And poor Curtis Gonzales he could scrub the bench ent, and did Denzil Theobold get ah little run in any of the games eh since Coach Hart speaks so highly of him eh. By the way and again our soca worries didn’t score a goal ent, well come next season in our Professional league eh, I am raising the most goals prize to $10, 000 yes but the amount of goals that meh top goalscorers must score 30 goals for the season and if they don’t score that amount well $ 5,000 dollars and a boots of their choice will be awarded. Them really good yes.